"Over there, the statue in the park. Yan Lenone. Do you want to see?" I remembered a paragraph from a guide book and did a quick Spanglish translation. "John Lennon! Yes, let's go see." Our cocotaxi — a three-wheeled moped partially covered by a coconut-shaped dome, hence the name — puttered to a stop in front of a park, and our driver took us over to the bench where a bronze John Lennon sat casually enjoying the midday sun. We clarinetists posed for a picture with my favorite Beatle, the words "Dirás que soy un sonador pero no soy el unico" etched on the stone walkway. You may say I'm a dreamer, but I'm not the only one. The driver pointed to a patch of shade under a large tree: "Here, Juan has the glasses." A trim, deeply tanned, wrinkled old gentleman walked slowly towards the statue with a pair of Lennon glasses in his hands. Juan ceremoniously placed them on John's face and turned to us. "How old do you think he is?" asked our driver. We started guessing. "70? 80?" We shook Juan's hand, "con mucho gusto," and tipped him before heading back to the cocotaxis. Bumping away, I looked back to see him easing back down into the patch of shade under a tree. "You liked the food?" asked the driver. Earlier, after our side-by-side rehearsal with the youth orchestra this morning, we gave a spontaneous master class for three of the clarinetists in one of the dressing rooms of the Teatro Nacional. They played Poulenc, Weber, and an homage to de Falla. Strong, confident clarinetists, completely fearless and eager to hear our suggestions, with a great sense of musicianship. After about an hour, we said goodbye with hugs and kisses on the cheek. Greg, David, Tim and I walked across the Plaza de la Revolucion square past government buildings adorned with massive images of Che Guevara and Camilo Cienfuegos, another revolutionary hero of Cuba. We needed a cab back to the hotel, and it looked like it would be a tough choice between the '50s convertible or a cocotaxi, but decisions had to be made. The original plan was to head back to the hotel, but after asking the driver for a restaurant recommendation, we ended up at a paladar (privately owned family restaurant) called DoNa Juana. Climbing three flights of stairs, we passed swinging birdcages with cockatiels and parakeets and family members resting on chairs. "Buenos tardes, hola." Passing through a blazingly hot rooftop deck, we mercifully entered a tiny but well-shaded room where two other diners were digging into plates of lobster, rice and beans, and salad. Buen provecho, bon appetit! Our drivers planned to return for us in an hour, telling us we could wait to pay until then. Sure enough, they were chatting with the neighbors when we emerged, satisfied, and took us back to the hotel via our friend "Yan Lenone" and his caretaker, Juan. Nearing the hotel, I asked the driver if he liked the restaurant we went to. "Sure," he said, "but for me is for anniversary, something special, maybe one time in a year. For you is not expensive, but for us..." We gave him brochures for tonight and tomorrow's concert along with some Minnesota Orchestra pins, and parted ways. Espero que algún día te unas a nosotros, y el mundo será uno solo. 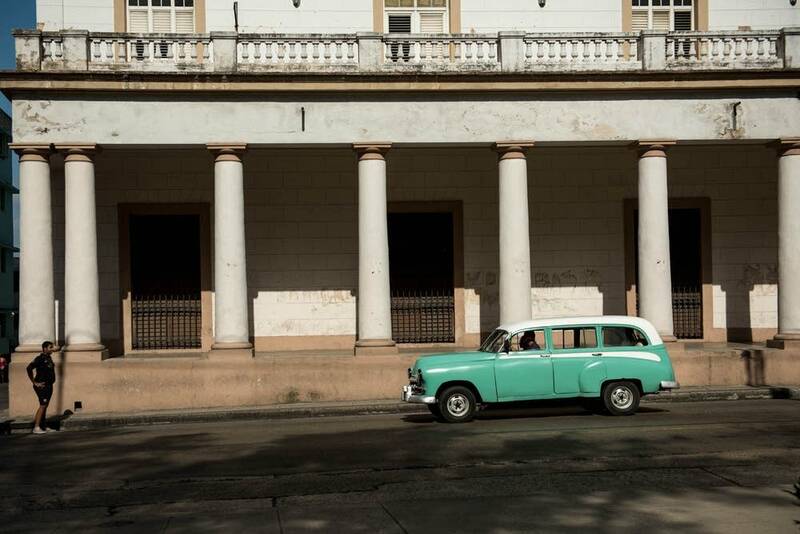 Rena Kraut is playing in the clarinet section during the Minnesota Orchestra's tour of Cuba, and she is writing about her experience for Classical MPR. Classical Minnesota Public Radio's coverage of the Minnesota Orchestra's historic tour to Cuba is made possible by Glen and Marilyn Nelson. Additional support comes from 3M, Pentair, Ecolab, and from Lorraine Hart.